I remember having such trouble learning to tie my shoes when i was little. 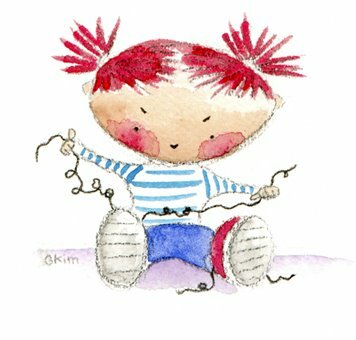 I had a doll with red hair, (not unlike this munchkin) and she had clothes which had buttons, clasps, and velcro, and shoes to tie. I remember doing them up and undoing them over and over and over, learning how to work my little fingers. so frustrating at first, so easy once you 'got it'! Just a quick one tonight with black coloured pencil and watered down gouache.